Where there's a place in the sun for everyone! The Provence Alpes Cote d’Azur lies between the mountains and the sea, stretching from the Mercantour National Park to the Rhone river delta and from the Barre des Ecrins to the Marseille calanques. Made up of six departments, the region has a spectacular coastline, beautiful sunshine, azure-blue sea, rich historical heritage and many ‘chic’ and trendy towns. The coastline stretches from the Côte d’Azur in the Var to the Camargue with 40 kms of fine sandy and pebbled beaches. Famous ports include Cannes, Nice, Saint Tropez, Marseille, Hyeres and Toulon, with smaller coastal villages such as Sainte Maxime, Cassis, La Ciotat dotted in-between. The superb islands and 33 sailing ports allow thousands of boats to moor all year long. The Côte d'Azur is also a major port-of-call for many Mediterranean cruises and all water-sports can be enjoyed there. The Riviera boasts 19 beautiful golf courses designed by international designers that are open all year round. Those who enjoy fishing will find 1200 kms of top class rivers and streams. Warm friendships and lively cultural life, in Provence Alpes Côte d'Azur, there is place in the sun for everyone! The Alpine area includes wide-open protected spaces such as the Ecrins National Park and the Queyras Regional Park. It is full of small hamlets and villages where traditions thrive, as do rich and varied species of flora and fauna. Ski resorts of the Azzure Alps are an hour away from the beaches with the Southern Alps climbing up to 4,000 meters altitude above Marseille. The Azzure balcony has more than 450 peaks over 2,000 meters. The foothills of the Alps have an original combination of Mediterranean scents and Alpine flora with a mixture of pastures, scrubland and pine forests. The true heart of Provence lies in the rolling hills that link the sea to the Alps. The unique Verdon river canyons are one of the natural jewels of Provence. In the back country you will discover the fields and colourful landscapes which fascinated and inspired Van Gogh, Picasso, Renoir, Matisse, and Cocteau. Enjoy the pleasure of meeting artists and craftsmen in Biot, Vallauris and Grasse, who have revived old techniques and have given life to past arts such as the creation of precious ceramics, stained glass, carved wood figures, glass blowing and perfume making. The Phocean City of Marseille was founded by the Ancient Greeks around 600BC. Then came the Romans, creating “La Provincia Romana”, leaving arenas, amphitheatres, archaeological sites, triumphal arches, aqueducts and bridges. The Roman cities of Arles, Orange, Nimes and Frejus still bear witness to their long and rich past, featuring vestiges that are now protected by UNESCO. Discover the sumptuous traditional dishes and put a little sunshine on your plate: ratatouille, farcis nicois, pissaladière, anchoïde, soupe au pistou, beignets de fleurs de courge, artichauts barigoule, omelette de poutine, stockfisch, aïoli daube à la nicoise, barba-juan ou bouillabaisse. Provence is of course renowned for its rosés and table wines. The vineyards start from the southern part of the Rhone Valley and include the famous Châteauneuf-du-Pape, and Provence, where French vineyards started over 25 centuries ago. Côtes du Rhône, Côtes du Rhône Village, Châteauneuf-du-Pape, Côtes du Luberon, Côtes du Ventoux, Gigondas, Tavel, Côtes de Provence, Bandol, Coteaux d'Aix-en-Provence are just a few of the most popular red and rosé wines from the region. This varied region is less than 3 hours from Paris by TGV train and 6,5 hours from London Waterloo. 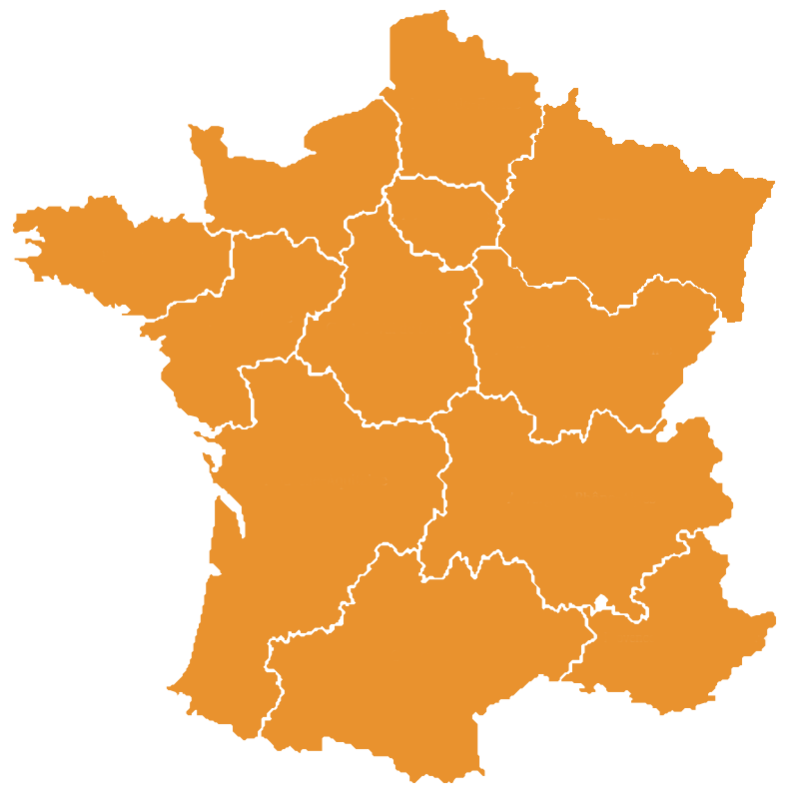 It has very good connections to other French regions and motorway network to nearby Italy and Switzerland. Most major and budget airlines have frequent flights from many UK and European cities to Nice and Marseille, especially in the peak season.